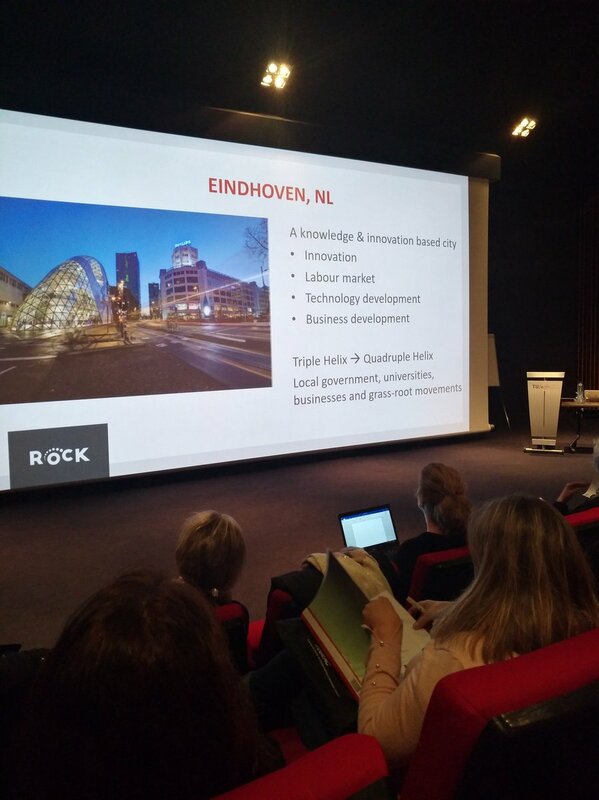 ROCK cities were invited to Eindhoven in January, to exchange with technological partners and decide on the range of solutions they want to use in their cultural heritage led regeneration actions. 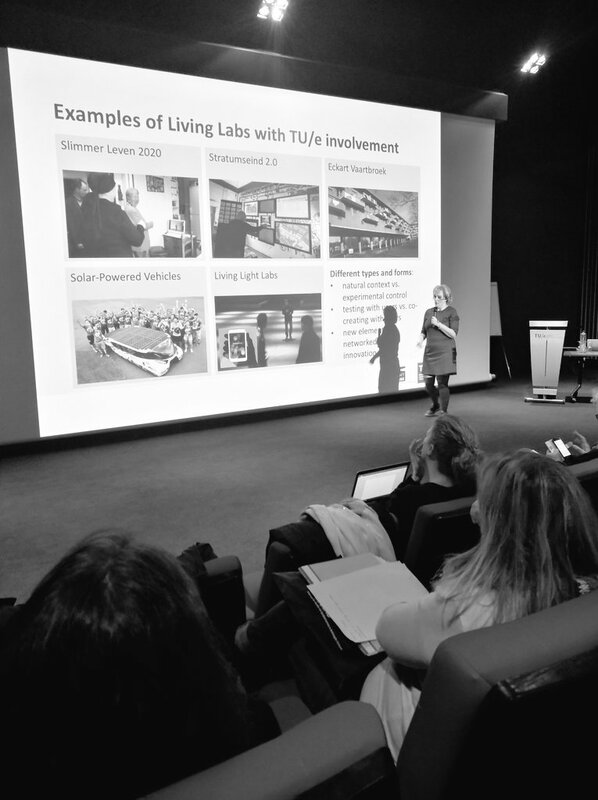 The campus of TU/e, the technologic institute of Eindhoven, was the perfect place to bring our cities together with some of the solutions providers involved in ROCK. A match-making round of sessions aloud the cities present: Bologna, Lisbon, Skopje, Liverpool, Cluj and Eiidhoven to share their needs with technology providers: ACCIONA, Julie’s Bicycle, DFRC, VGTU, TU/e. 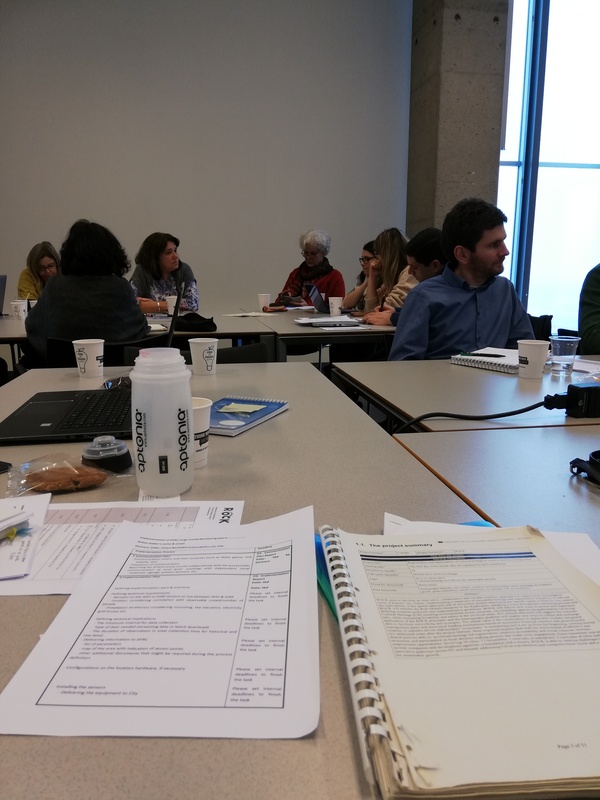 Discussions centred around the possible use of a range of sensors, monitors, analytics but also environmental tools, that could be used to achieve the cities’ goals in the ROCK project. The visit was also the occasion to hear more about the work done in Eindhoven on Living labs and urban regeneration projects, both by the municipality and the university. The strong influence of the industrial past, with the former presence of PHILIPS lighting as part of the intangible cultural DNA of Eindhoven, has a direct influence on the city, making technology a priority in all its development. Prof. Dr. Elke den Ouden from TU/e, talked about the university’s Open Innovation & Living Lab Approach. 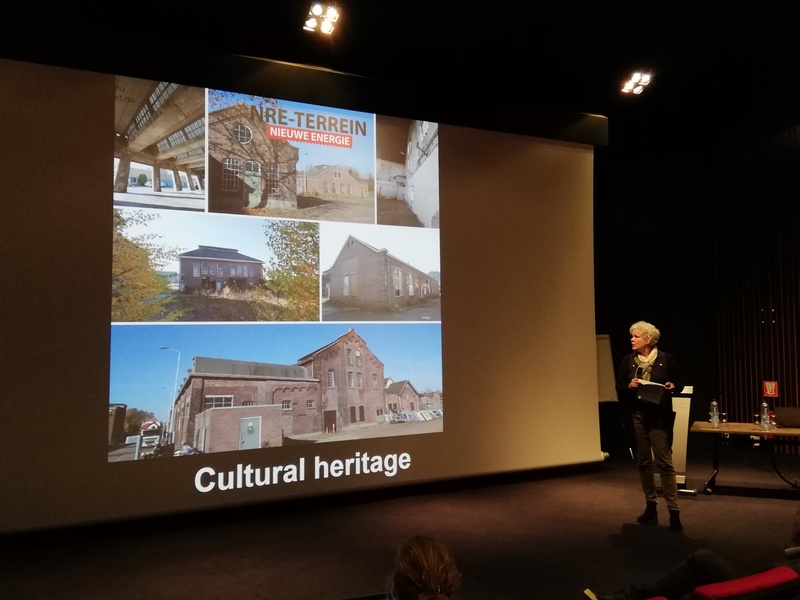 Alwin Beernink, Project manager of Strijp-S, illustrated the implementation of the living lab approach in the former industrial area that has become a creative and cultural center in Eindhoven. 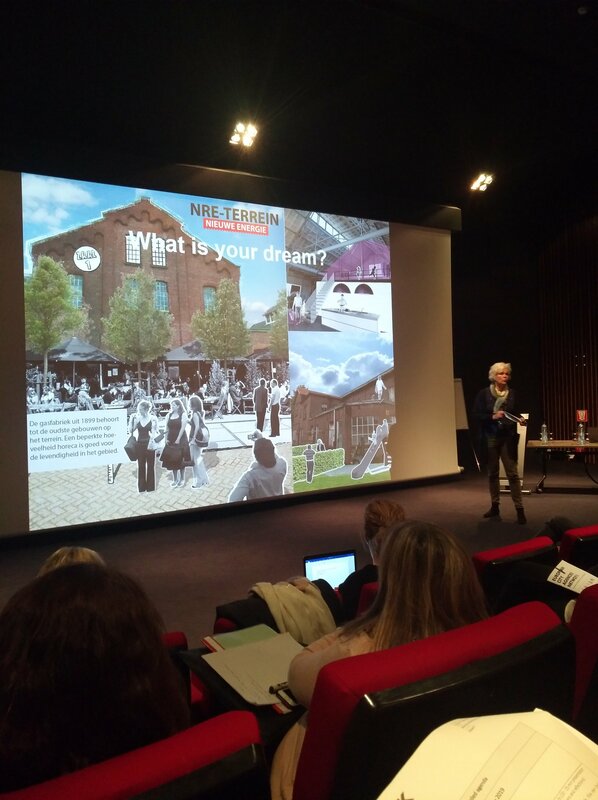 The municipality shared the example of the NRE terrain district, in which a bottom-up strategy was put in place to redevelop a former industrial area in which they involved the end-users from the start, asking them “what is your dream”. The cultural heritage elements of the area will now be considered as “local monuments” making the regeneration of this historic area even more official. Find out more about the tools provided by the ROCK partner.